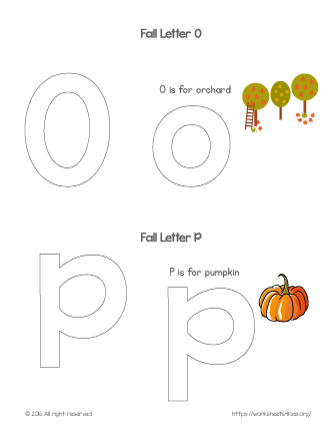 Learn the letters of the alphabet and explore the fall words that begin with each letter. 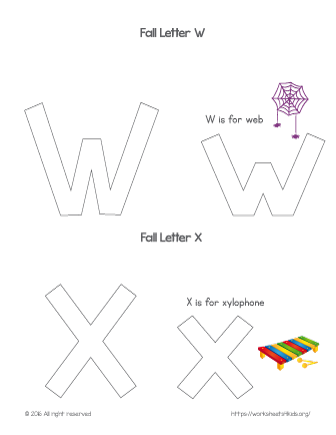 This coloring activity helps kids recognize and name capital letter W and letter X, as well learn fall related words. 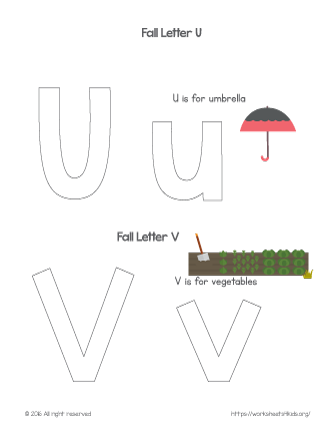 Get your preschooler be ready to kindergarten by coloring the letters and exploring the shape of each letter. Great worksheet packed with fun coloring activity is a great way to explore the alphabet and get your child ready for kindergarten. 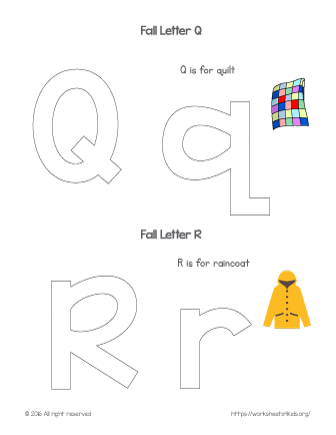 Learn the shape of the letter Q and letter R while coloring. 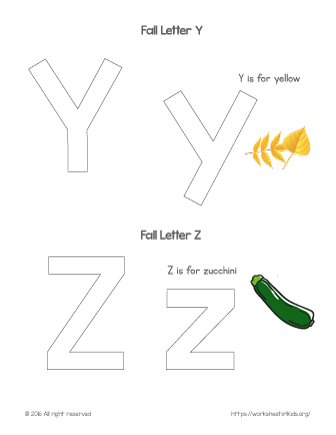 Help your child practice the alphabet in a fun way! 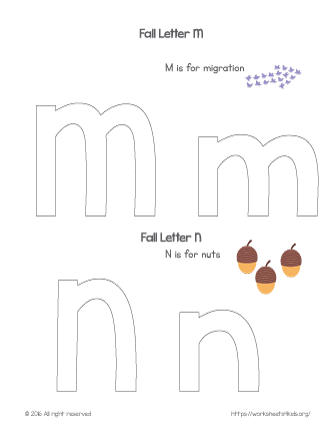 N is for nuts and m is for migration! 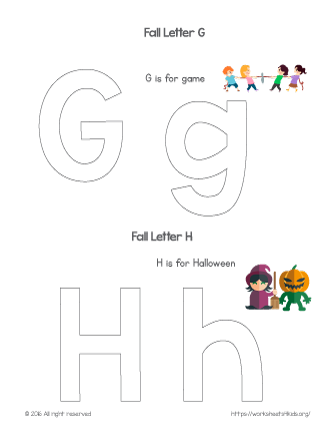 And this worksheet is great to introduce the alphabet to your preschooler. 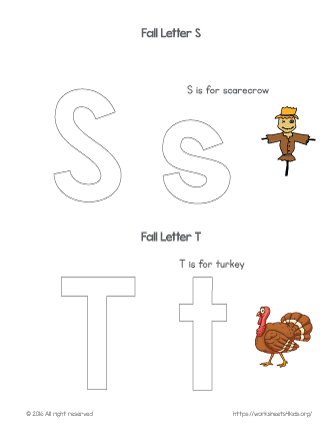 Kids color the letter K and letter L and learn new fall related words. 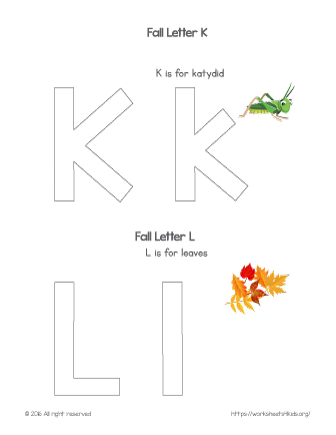 K is for katydid and L is for leaves. 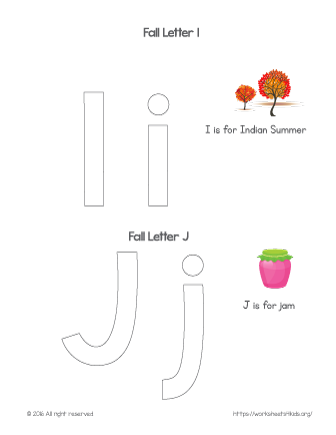 Learn new fall related words and explore the shape of the letter I and letter J while coloring. With this fun coloring sheet, your little learner will explore the shape of the letters and learn new words. 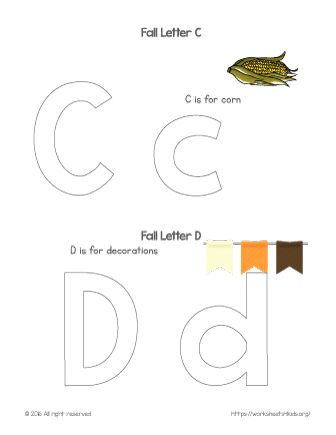 This fun autumn alphabet coloring page is right for him. Learn the shape of the letters and explore new words. 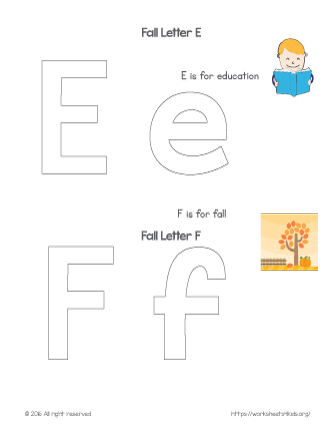 Your preschooler will color the letter C and letter D while learning the shape of the letters and new fall words.